The ”Nibelungensaga” is an epic poem in Middle High German which has been narrated for centuries. The story tells of dragon-slayer Siegfried, who killed the evil lindworm FAFNER in a dramatic fight. Now it`s time for a rebirth! None other than master Siegfried Braun is designated to bring it to life again. 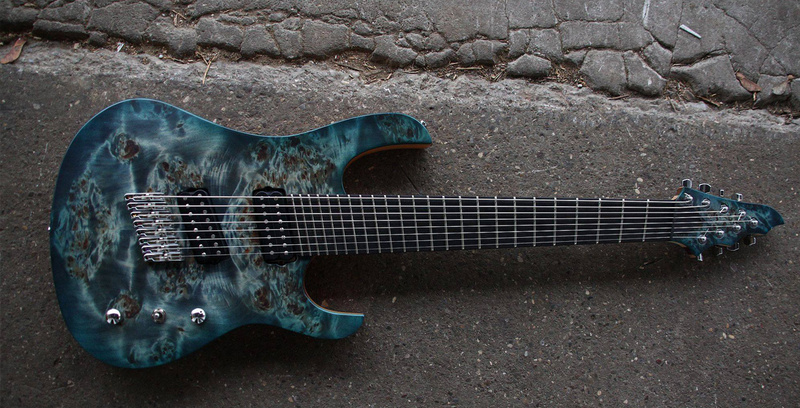 Now the time has come for FAFNYR, the ultimate multi-scale guitar axe. Unique design meets perfect ergonomics. Best quality parts as been combined in a unique way, solely providing unbridled power. Made by skilled hands in the renowned German Siggi Braun – Custom Shop. 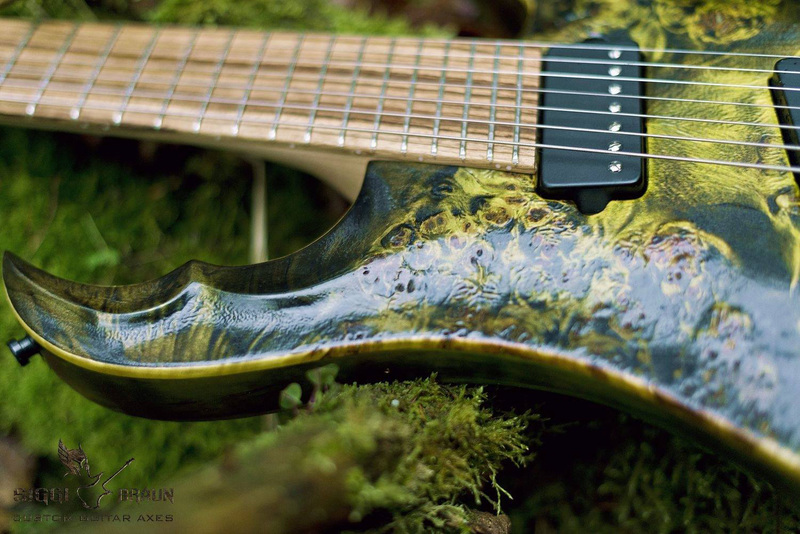 Every Fafnyr is a one of a kind guitar because of its epic and individual Dragon Skin finish. Several options are offered so you can create your personal Fafnyr, in order to let it scream just the way you desire. In a "reduced to the max" Flat Top edition, which enables the Fafnyr's scream for a small budget. Fafnyr is back to scream again! Are you ready? Griffin is a perfect axe for demanding guitarists who need more strings, more clarity of tone, more power and more “Handmade in Germany” quality! The fanned board has a medium spreading from 25.5 to 26.5 inch, therefore Multiscale beginners will get used to it quite fast. Griffin has our “M”-Design Shape which may be more appealing to traditional players and is available for 7 and 8 strings. Of course it features the Siggi Braun patented ‘Comfortable Neck Segment’ System, which will give you the best of a neckthrough-construction and a bolt on neck. So, what more could you ask for? 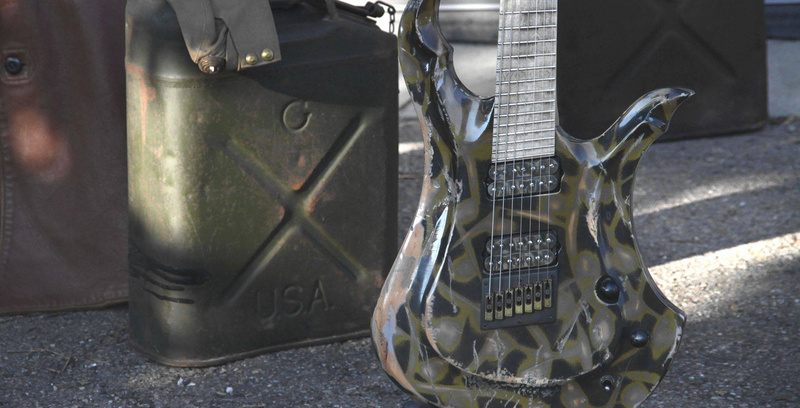 Its a progressive metal machine! ROC 8 is a perfect axe for demanding guitarists who need more strings, more clarity of tone, more power and more “Handmade in Germany” quality! The fanned board has a medium spreading from 25.5 to 26.5 inch, therefore Multiscale beginners will get used to it quite fast. ROC 8 has our “Original” shape which everyone reminds instantly as a Siggi Braun guitar. 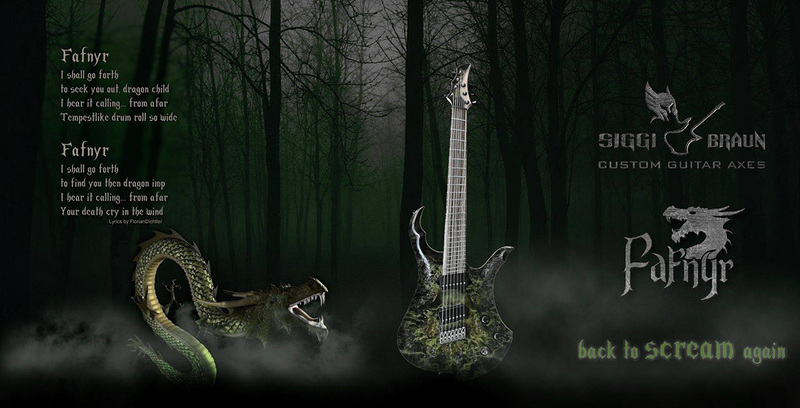 It`s available for 7 and 8 strings. So, what more could you ask for? 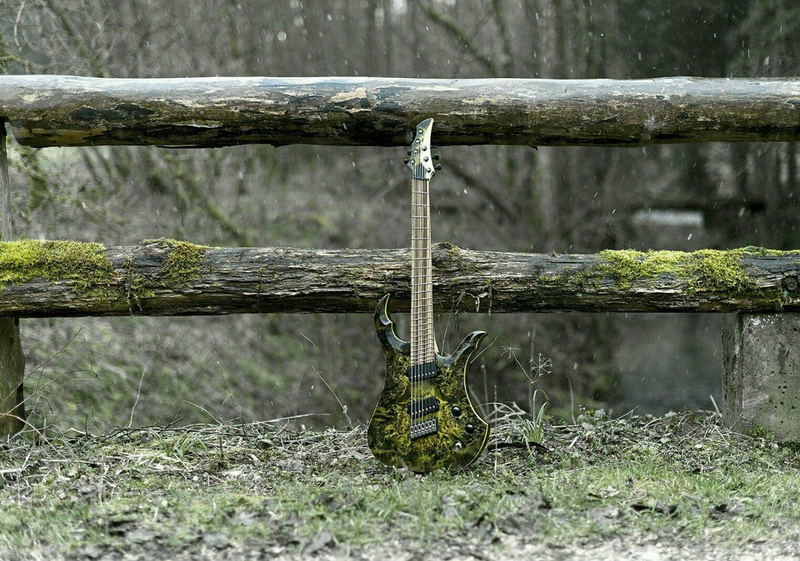 Its definitely a progressive metal machine!